The Elegant Simple Theme Reborn! Now FullScene is Updated and Refreshed. Get Your v2.1.3 Now! 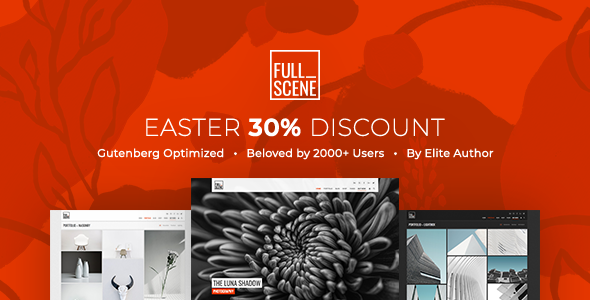 FullScene is a clean, professional and customizable portfolio WP theme perfect for designers, photographers, and design agencies. 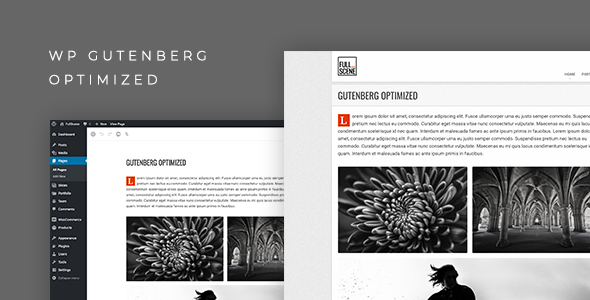 Optimized for WP 5.x block editor (Gutenberg). Dark / Light color skins. Customizable backgrounds (fullscreen & normal). Customizable font for headings. Choose from +800 Google fonts. Multiple home page types (fullscreen & composition) with unlimited possibilities. 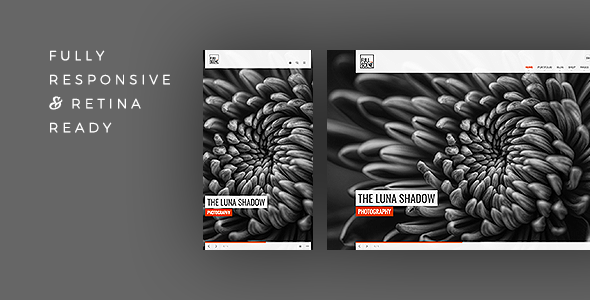 3 portfolio page layouts (fullscreen, grid & masonry). 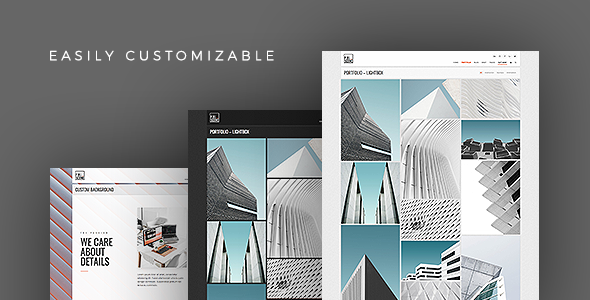 2, 3 or 4 columns option for grid & masonry portfolio templates NEW!. 8 post formats supported with unique design (standard, gallery, video, audio, link, quote, aside and status). ”Contact us” page template with Google map, contact info and working contact form with validation. “About us” page template with team members section. Elementor page builder support + 15 exclusive content elements. 9 custom widgets and 8 widgetized areas. 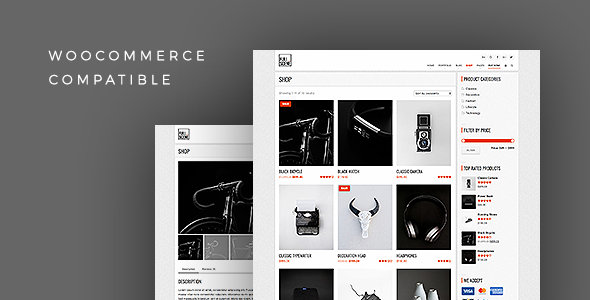 Updated some WooCommerce template files. Enhanced old PHP version compatibility. Added several settings to fullscreen portfolio. WP 5.x Gutenberg editor optimization. Added full-width shop page option (remove sidebar). Added the ability to exclude portfolio and blog categories in home and portfolio page templates. Enhanced thumbnails lightbox functionality (remote video lightboox and navigation). Fixed minor CSS issues regarding the accent color. 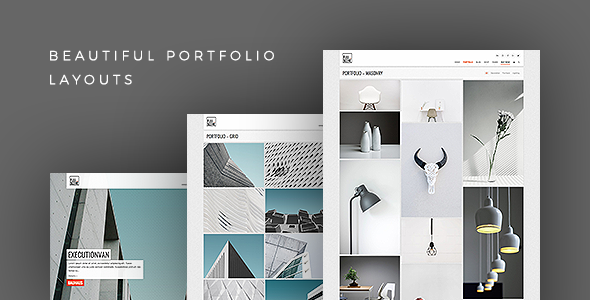 Added 2 & 4 columns option for grid & masonry portfolio templates. Complete refresh and code rewrite. Separated some core functionalities in (FullScene Core) plugin. Added retina readiness and responsiveness. Updated widgets and added new widgets. Direct Google fonts selection for headings. Switched to WP customizer for theme settings. Updated and more advanced WooCommerce support. Added WooCommerce support (Your feedback will be appreciated). Updated & added new social sharing buttons (Pinterest, LinkedIn, stopped using AddThis, check the new sharing settings tab). Added some requested features/options (Check the theme options panel). Added another optional portfolio filtering type for paginated portfolio pages (requested feature). Fixed some image resizing issues. Fixed the error after WP 3.6 update. Replaced “Timthumb” image resizing script with WP functions. No more “cache” folder or permissions setting needed. Fixed some minor bugs, typo & styling issues. Fixed problem in theme options textarea prevents the proper saving of google analytics code and custom css and some HTML tags. Increased the refresh time interval for twitter widget to 30 minutes, was decreased to 30 seconds for debugging purposes. Fixed some minor bugs & styling. New WP media manager integration. Added punch of new social icons. Added completely new Twitter widget function using the new 1.1 API. General code cleanup and under-the-hood enhancements. Added the ability to browse portfolio items by skill (clickable skills). Added theme option to select map type for contact page (map, satellite …etc). Added the ability to use both images and video together in portfolio items. Problem fixed. Portfolio page lightbox template now shows the video in lightbox for video portfolio items instead of image. Updated some JS plugins & “TimThumb” script to the latest version. Removed forgotten code related to demo color switcher. Fixed some issue in order tobe WP 3.4 ready. Added new portfolio page templates with lightbox support instead of opening the item in separate page (Grid and masonry layout). Added the option to open recent work and grid showcase items in lightbox instead of separate page in the “Home composition” page template. Added the option to open portfolio widget items in lightbox instead of separate page. Added the option to turn on/off the ovelay diagonal hatch line on home/portfolio fullscreen slider. Added self-hosted video support for portfolio items and home video banner. Fixed CSS issue (the logo issue in fullscreen templates). Updated Google map plugin, no Google API key needed any more. Fixed minor CSS issue (header z-index conflict with Nivo slider’s caption & arrows).